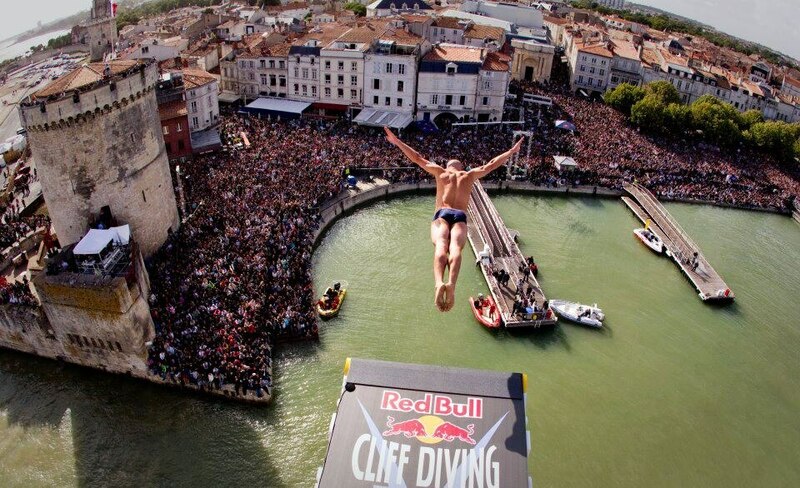 Three seconds of freefall combined with jaw-dropping acrobatics - that's Cliff Diving! Two, three steps forward onto the ramp, the heart races, the feet feel the rim of the board, the eyes are closed. Dive! Time stands till during freefall until the hard hit on the water's surface.